With cliffs thousands of feet high, blue desert skies and narrow slots hiding oases of waterfalls and flowers, Zion Canyon has drawn people to it long before the park was even an idea. 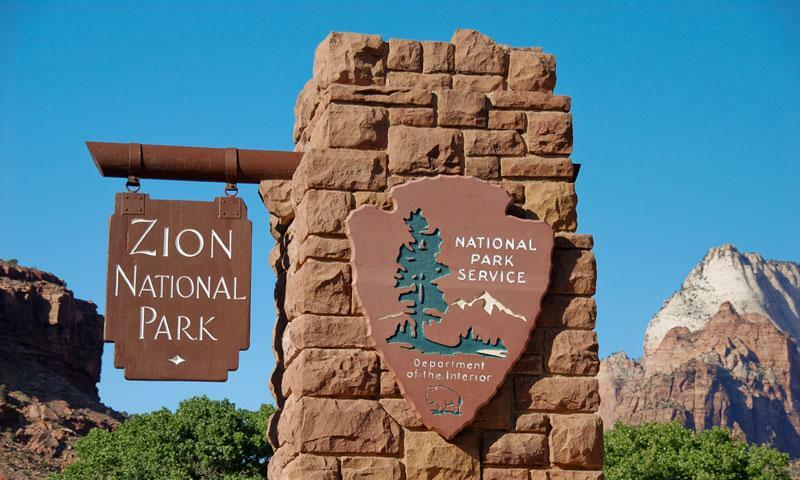 Zion National Park is on the short list of America's best parks. Unlike most canyons, where visitors stand at the rim and look into the depths below, Zion Canyon has a level floor that allows people to conveniently explore both aspects of the canyon. Just driving through the park brings visitors to postcard views from both the canyon rim and floor, with the bright oranges and reds of the sandstone cliffs contrasting the verdant greens and crystal-clear blues of the Virgin River. Zion Nat'l Park is in the southwest corner of Utah, at the juncture of the Colorado Plateau, the Great Basin and the Mojave Desert. 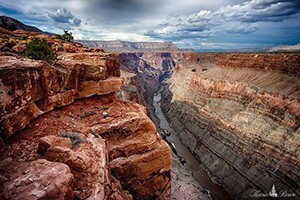 Found just 40 miles east of St. George, the park forms a large triangle with the Grand Canyon and Bryce National Parks. The nearest regional airports are St. George and Cedar City, while Las Vegas and Salt Lake City are the closest major airports at 160 miles and 300 miles away, respectively. Visitors have the opportunity to find a trail that suites their skills, desire and time frame, whether it's a quarter-mile sidewalk stroll or a grueling backcountry trek. The large network of trails allows plenty of options for everyone. Much of Zion is readily accessible to the general public, but the vast expanses of wild land beckon some visitors to head out to see the wide perspectives and jaw-dropping experiences of the raw, unimproved backcountry. As a recovery site for the Peregrine falcon and the California condor, Zion Park is a great place for twitchers and casual birders alike. There are 207 species in the park, so make sure to grab your binoculars before heading out. Thanks to years of development and construction, all major sections of Zion are accessible from a car, so take a drive up Kolob Terrace Road, or Kolob Canyon Road for some incredible vistas overlooking the entire park. Exploring Zion's slot canyons is a popular activity for everyone, but when it requires sloshing through rivers, rappelling down cliffs, and swimming through cold water, it has a specific name: canyoneering. It's something almost everyone can do, regardless of experience. Originally called Mukuntuweap National Monument before changing names, Zion NP, Utah, has played a leading role within the National Park Service regarding sustainable and environmentally sensitive park management. Grand Staircase National Monument lies east of Zion, in Southern Utah.